Dr. Arnis Kuksis, B. Sci, M. Sci, Ph. D, FRSC, Ph. D. h.c.
Arnis Kuksis, Professor Emeritus Dr. Arnis Kuksis was born in Latvia in 1927. He came to the USA from Baltic University, Hamburg, Germany on a Lutheran World Federation Scholarship. He obtained his B. Sci. (1951) and M. Sci. (1953), both in Agronomy, from Iowa State College, Ames, Iowa, and a Ph. D. (1956) in Biochemistry from Queen’s University, Kingston, Ontario, Canada. After a post-doctoral fellowship (1956-1958) in organic chemistry, at RoyaI Military College, Kingston, Ontario, he returned to Queen’s to join the research group of Professor J.M.R. Beveridge as a Research Associate in lipid biochemistry. In 1960, Dr. Kuksis was awarded a Career Investigatorship from the Medical Research Council (MRC) of Canada and was appointed Assistant Professor of Biochemistry at Queen’s. In 1965, he transfered his laboratory to the Banting and Best Department of Medical Research, University of Toronto. Dr. Kuksis advanced from Assistant to Full Professor (1965-1974) with parallel honorary appointments in Department of Biochemistry of the University of Toronto. From 1972 to 1997, Dr. Kuksis served as Director of MRC Regional Mass Spectrometry Facility at the Banting and Best Department of Medical Research. 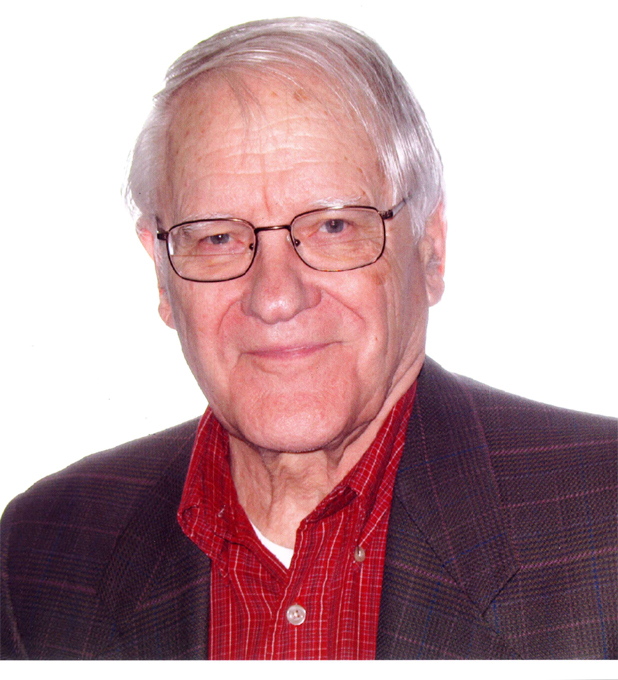 Dr. Kuksis was elected Professor Emeritus in 1997. Dr. Kuksis' research experience has ranged from paper chromatographic studies of nitrogen fixation by nodulating and non-nodulating soybean sister strains at Iowa State to ion exchange chromatographic analysis of DNAase hydrolysis products of DNA at Queen’s. At the Royal Military College, he learned to apply thin film coatings of organic polymers to solid propellants to control their burning rates, which eventually helped him to apply high temperature coatings to packed GLC columns. In 1962, he reported the first resolution of molecular species of triglycerides of natural fats and oils by high temperature gas chromatography (GLC) (1), which had not been achieved before. The new methodology was extended to resolution of molecular species of natural steryl esters and glycerophospholipids (2), which also had not been obtained previously. These techniques became widely employed routines in lipid research laboratories throughout the world. Later he combined gas and liquid chromatography with mass spectrometry for total lipid profiling and lipidomics of plasma and tissue lipids (3). During the course of his career Dr. Kuksis trained and supervised the studies of a total of 30 doctoral and master’s students, as well as the research of ten post-doctoral fellows. Under Dr. Kuksis' direction, the laboratory received a Certification (1969-1970) from the Cooperative Triglyceride Standardization Program (Atlanta, Georgia, USA) attesting to its Meeting the Criteria of Precision and Accuracy as Specified for Standardization by the World Health Organization International Reference Center for Lipid Determination in Cardiovascular Research. Dr. Kuksis was an invited presenter of the new methodology at national and international meetings, as well as an invited lecturer and visiting professor at various laboratories in USA, Canada, Germany, France, Australia, New Zealand, Japan, Finland, and Latvia. Dr. Kuksis was elected Fellow of the Royal Society of Canada (1988). He was presented with The Lifetime Achievement Award (1995) from the Canadian Section of the American Oil Chemists’ Society. He was elected a foreign member of the Latvian Academy of Sciences (1996). In 2000 he was elected Fellow of the American Oil Chemists’ Society and in 2001 he received the H. J. Dutton Award of the Analytical Division of the AOCS. In 2000, Dr. Kuksis was awarded a Ph. D. honoris causa from Turku University, Turku, Finland. He has authored or co-authored over 370 original articles and 100 invited reviews and book chapters. He has edited or co-edited 6 books. In 2003, Dr. Kuksis published a single author book entitled “Inositol Phospholipid Metabolism and Phosphatidyl Inositol Kinases” in the Elsevier series on Laboratory Techniques in Biochemistry and Molecular Biology (971 pages). In addition to major discoveries in high temperature GLC, Dr. Kuksis has reported practical breakthrough applications of the new methodology. Among the enzymatic firsts was the demonstration of the stereospecificity of lipoprotein lipase (4), the isolation and determination of correct molecular weight of a monoacylglycerol acyltransferase (5), and the demonstration that plasma lipoproteins are substrates for secretory PLA2 groups IIA, V and X (6). In parallel, Dr. Kuksis group has isolated and identified cholesteryl ester and glycerophospholipid “core aldehydes” and has demonstrated their reactivity with the amino groups of peptides and proteins (7). More recently, Dr. Kuksis has demonstrated the analytical advantages and economies of an electronic storage of total lipid profiles of plasma and tissues for later mass spectrometric work-up (8,9). (1) Kuksis A, McCarthy MJ. Gas-liquid chromatographic fractionation of natural triglycerides mixtures by carbon number. Can J Biochem Physiol 1962; 409:679-686. (2) Kuksis A, Stachnyk O, Holub BJ. Improved quantitation of plasma lipids by direct gas liquid chromatography. J Lipid Res. 1969; 10: 660-667. (3) Kuksis A, Myher JJ, Marai L. Lipid methodology – chromatography and beyond. Part II. GC/MS, LC/MS and specific enzymatic hydrolysis of glycerolipids. J Am Oil Chem Soc. 1985; 62: 762-767. (4) Morley NH, Kuksis A. Positional specificity of lipoprotein lipase. J Biol Chem 1972; 247:6389-6393. (5) Manganaro F, Kuksis A. Purification and preliminary characterization of 2-monoacylglyerol acyltransferase from rat intestinal villus cells. Can J Biochem Cell Biol 1985; 63: 341-347. (6) Pruzanski W, Stephanski E, de Beer FC, deBeer M, Vadas P, Ravandi A, Kuksis A. Lipoproteins are substrates for human secretory group IIA phospholiopase A2. Preferential hydrolysis of acute phase HDL J Lipid Res 1998; 39: 2150-2160. (7) Ravandi A, Kuksis A, Shaikh N, Jackowski G. Preparation of Schiff base adducts of phosphatidylcholine core aldehydes and aminophospholipids, amino acids, and myoglobin. Lipids 1997; 32: 989-1001. (8) Kuksis A, Pruzanski W. Electronic storage of LC/ESI-MS total ion current profiles of total lipid extracts and multidimensional lipidomic analysis of plasma lipoproteins. Lipid Technology 2014; 26 (6): 1-4. (9) Kuksis A, Pruzanski W. Hydrolysis of phosphatidylcholine-isoprostanes (PtdCho-IP) by peripheral human group IIA, V and X secretory phospholipases A2 (sPLA2). Lipids 2017; 52(6): 447-488.